Archival project planning is dynamic because managing a project keeps a balance between having a plan and responding to changes. Planning, of course, is iterative. The project team needs to re-evaluate the plan throughout the project—and communicate changes to those involved to move the project forward. Archival projects should have plans at both global (or milestone) and detail (or activity) levels. Always prepare to re-plan, because obstacles will occur. The team should create a plan and then begin to execute, then do more planning and more executing. Accomplishment of incremental activities the team committed to generates momentum. Progressive elaboration continuously improves the plan as more information becomes available. The most important aspect is to plan enough to improve your project outcome, without becoming mired in details. You should avoid granular planning at the start of the project because there’s a likelihood that the plan will change. An archivist can spend considerable time preparing the project to the smallest detail, to the point that the plan becomes so rigid it’s difficult for the team to respond to unexpected events. It’s impossible to know all contingencies and foresee every problem in the planning stages. However, teams can suffer from excessive flexibility, which can lead to ad hoc decision-making and lack of team cohesiveness, causing time and cost overruns. In organizations where there’s an urgency to see results, stakeholders often forget the benefits of archival project planning until it’s too late. In many instances, the organization doesn’t produce plans because “there’s not enough time to think ahead”. For small projects, preparation seems unnecessary, and the absence of a plan is considered unimportant enough not to warrant creating one. However, this does not recognize the likelihood of change. Change can affect even small projects or ones like those previously undertaken. The time taken to develop a plan is used to understand how circumstances have changed since the project’s initiation—and how much more it may change during the life cycle of the next project. The team should plan the project together. When you encourage your team members to take part in the planning process, you take the first step in developing your team; it will also results in a more realistic plan. Collaborative planning results in shared understanding of the work required for project completion. The people who implement a plan should help prepare it. Otherwise, you risk uncommitted participants, erroneous estimates, and overlooked tasks. People dislike being told what to do, especially for a project that is outside their regular duties. Instead, you should use the team’s knowledge to determine the best way for them to perform the work. Team members forming estimates have ownership. If the estimates are wrong, they will take steps to correct them and learn from the experience. Members are more likely to cooperate with your requests when they understand or agree with them. Developing the plan together ensures that commitments are based on decisions made by the contributors themselves. Archival project planning focuses on making sure the project has enough support to achieve its purpose. Many projects flounder because they’re set up to address issues that people feel are urgent. The inclination to take action means that ideas and their consequences aren’t considered in their entirety. Rushing the initial thinking may fail to achieve goals and add more delay. The time used to plan a project is always well spent. 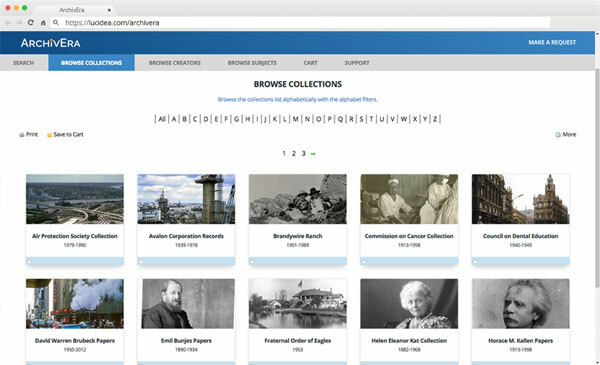 Margot Note, archivist and consultant, writes for Lucidea, provider of ArchivEra, archival collections management software for today’s challenges and tomorrow’s. See more of Margot’s advice on running successful archival projects. Archival project managers must ensure the transition from planning to activity is smooth, while keeping archives project time, cost, quality, balanced.